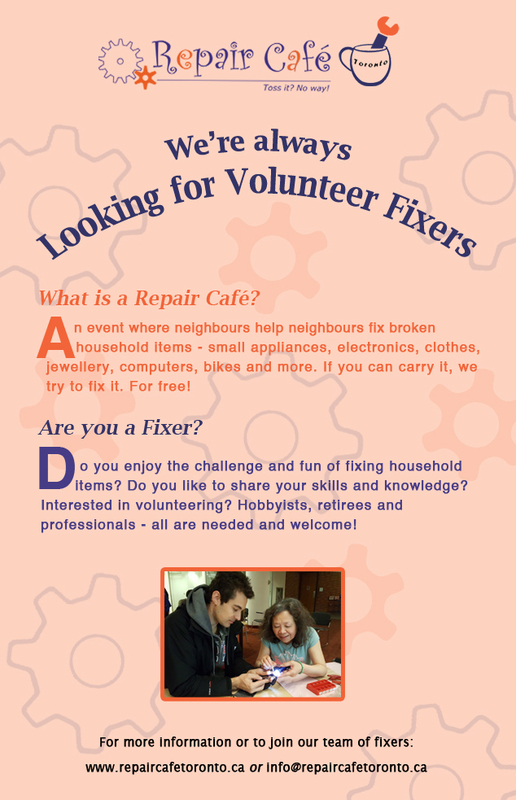 To assist with sharing information about Repair Café, feel free to use the files below (scroll down). Translations currently available are: Arabic, Bengali, Chinese Simplified, Chinese Traditional, Portuguese, Somali, Spanish, Tagalog, Tamil and Turkish. For reference, the English version is at the bottom of the list. If you’d like to see this information in additional languages, you can use Google Translate here.